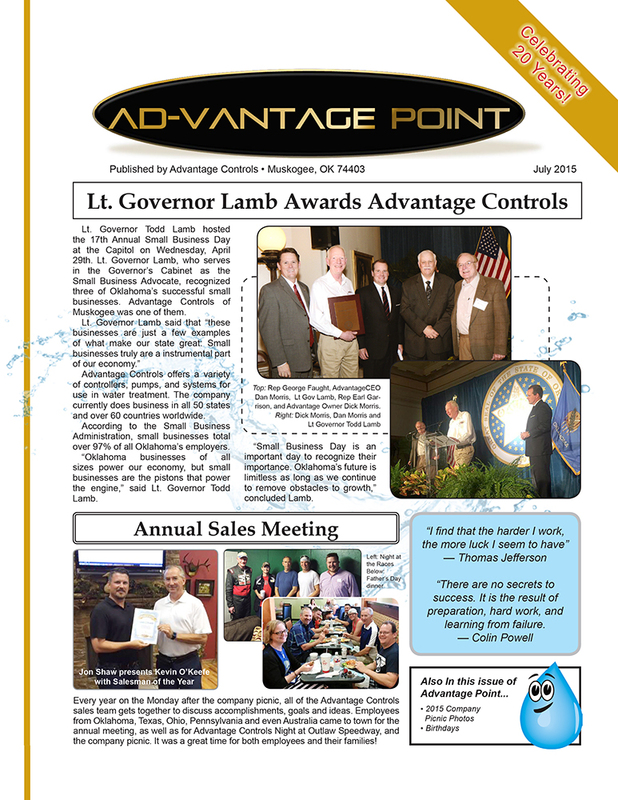 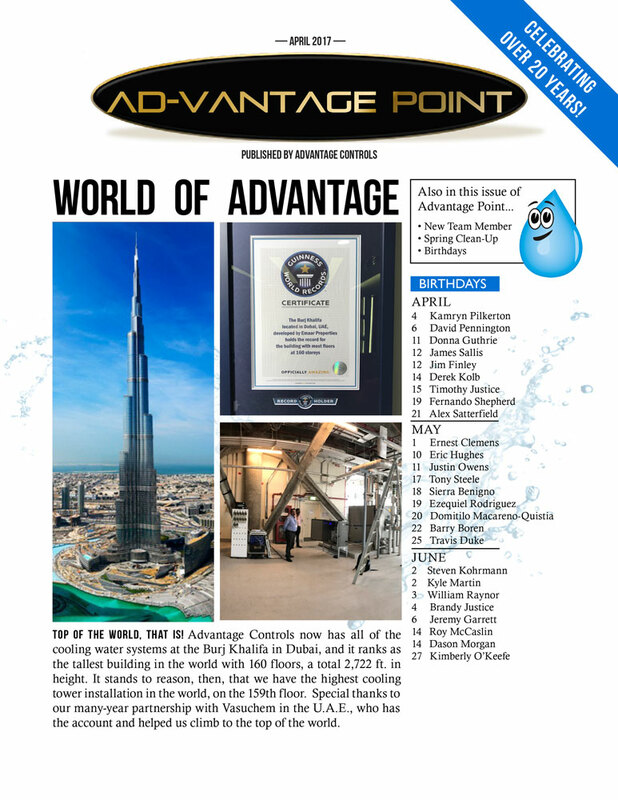 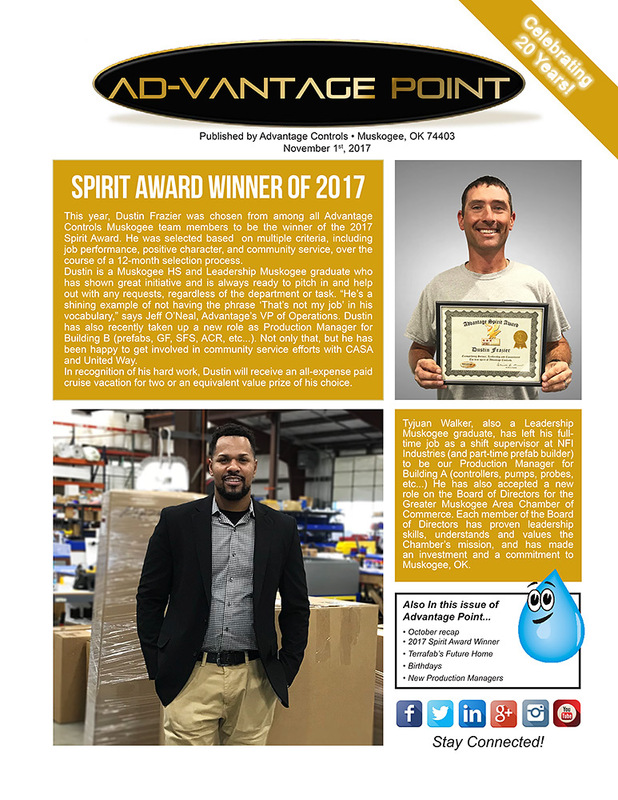 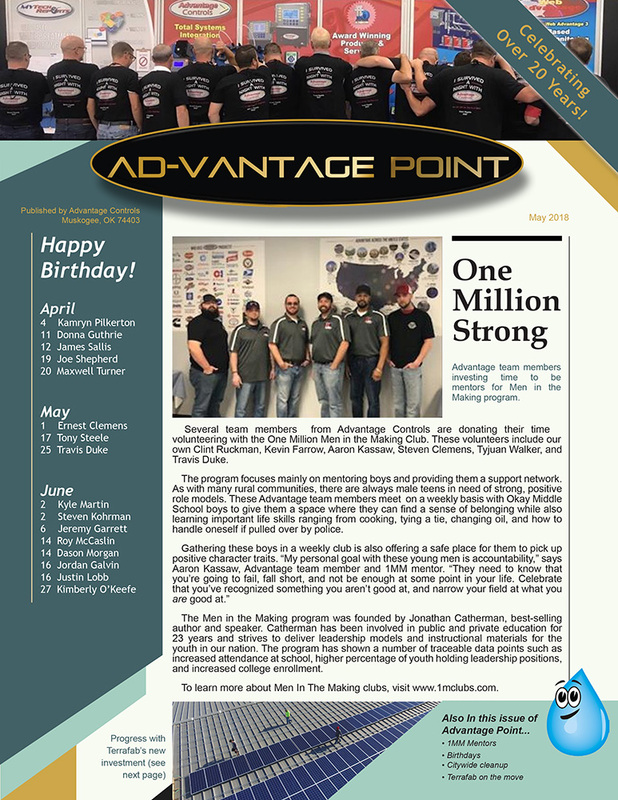 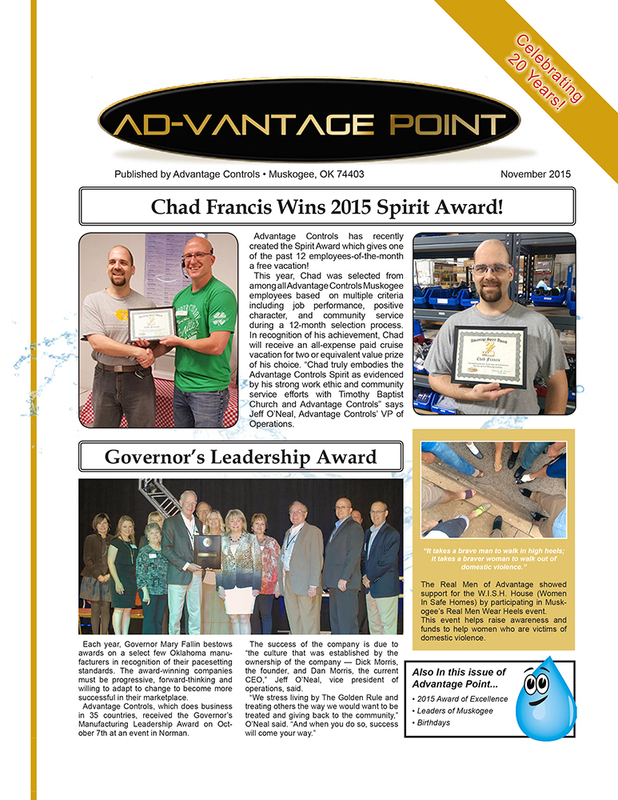 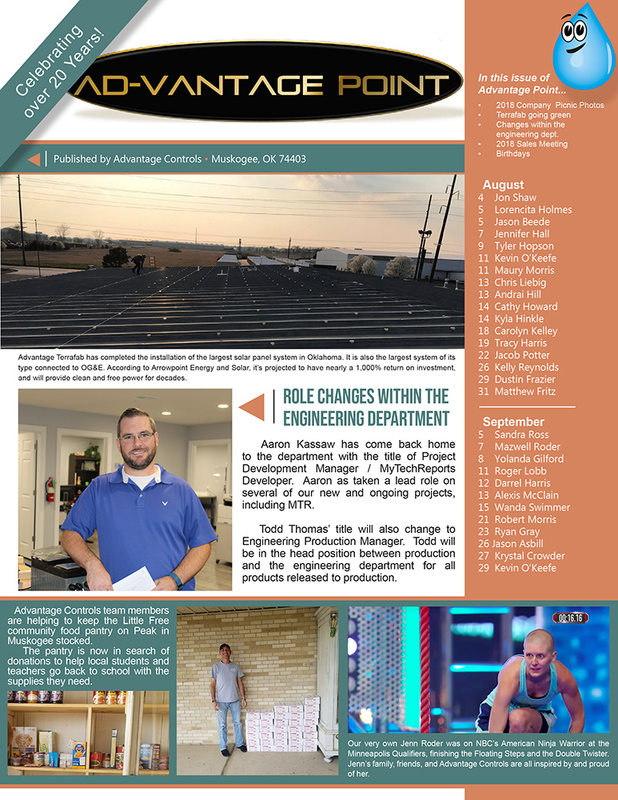 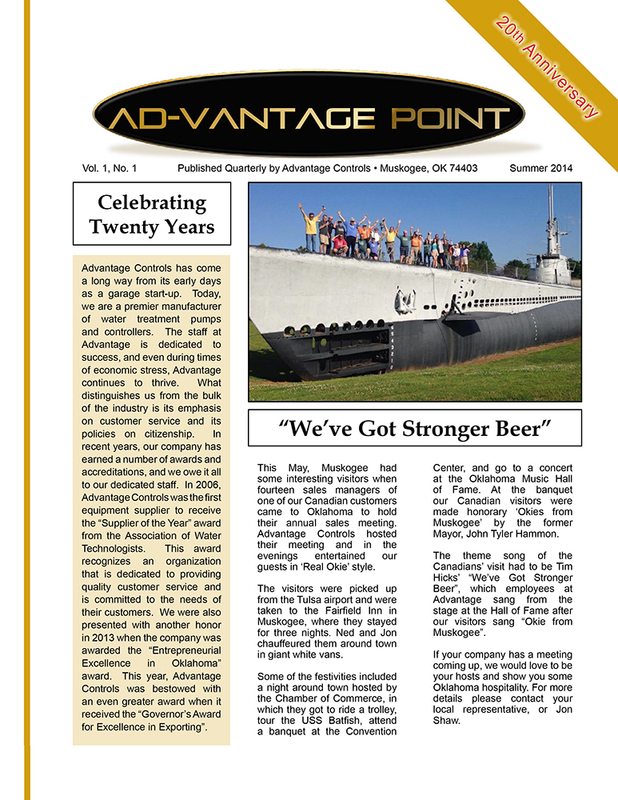 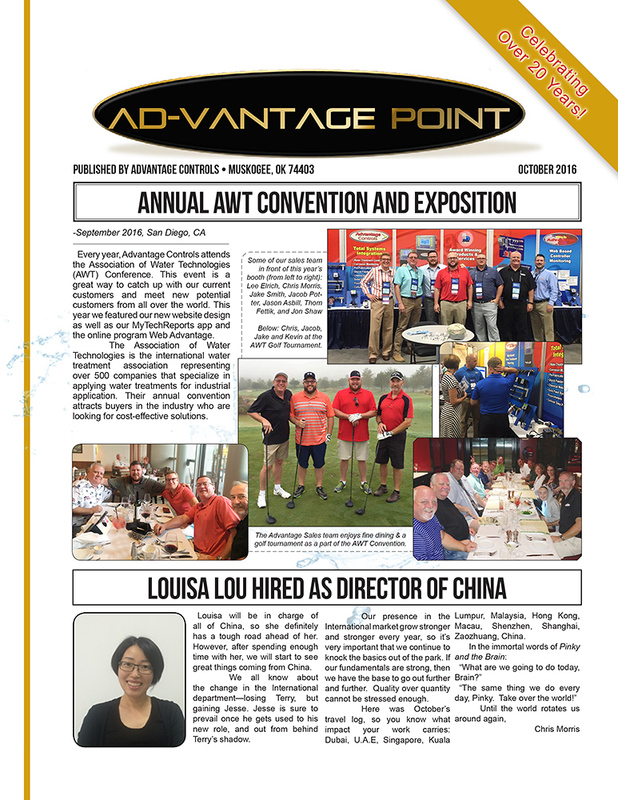 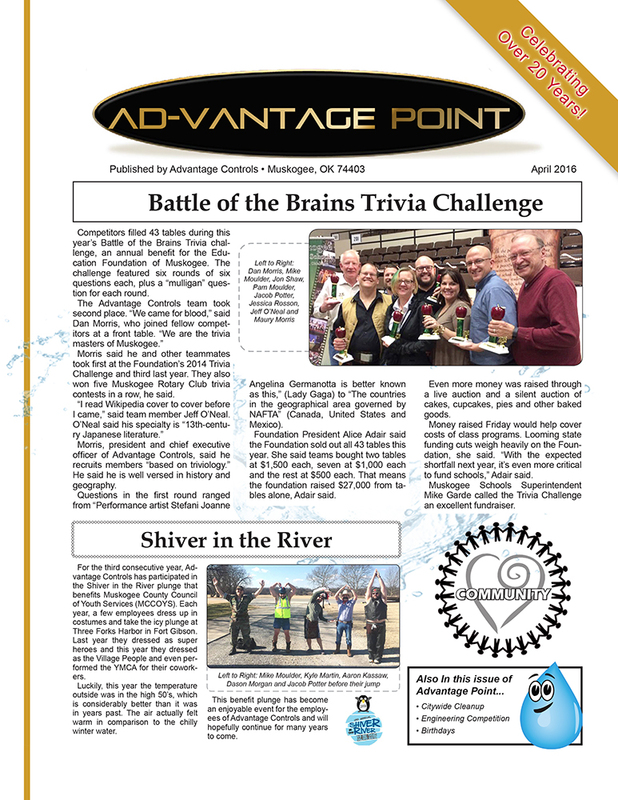 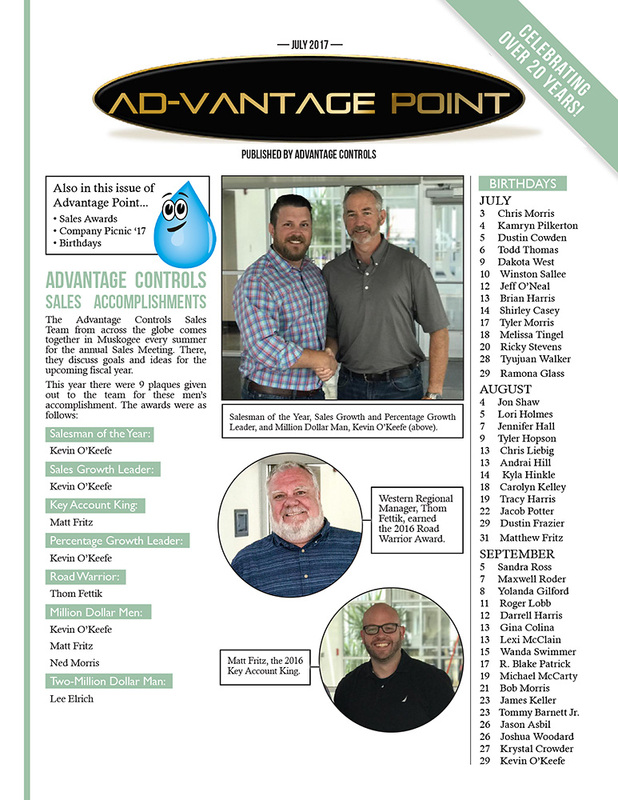 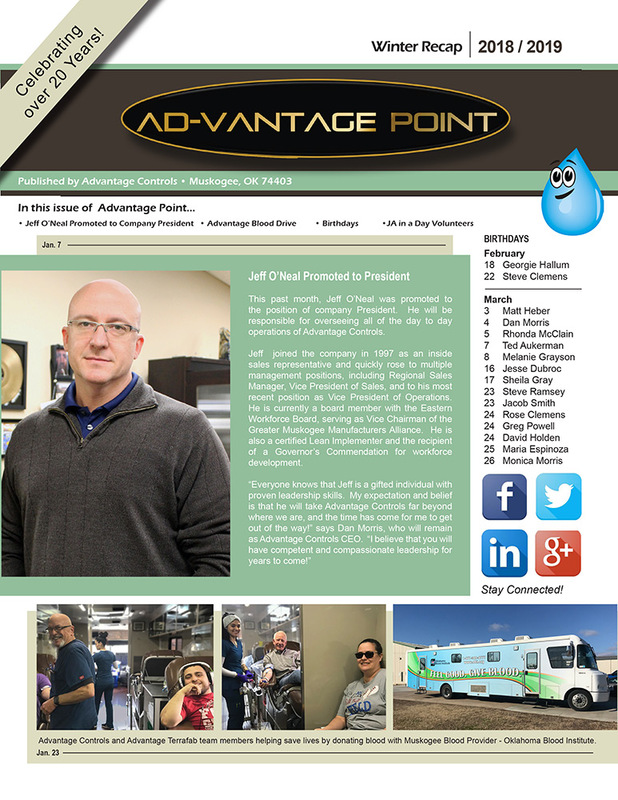 Advantage Controls - Company Newsletters - industrial water treatment controllers, chemical metering pumps and accessories for boilers and cooling towers. 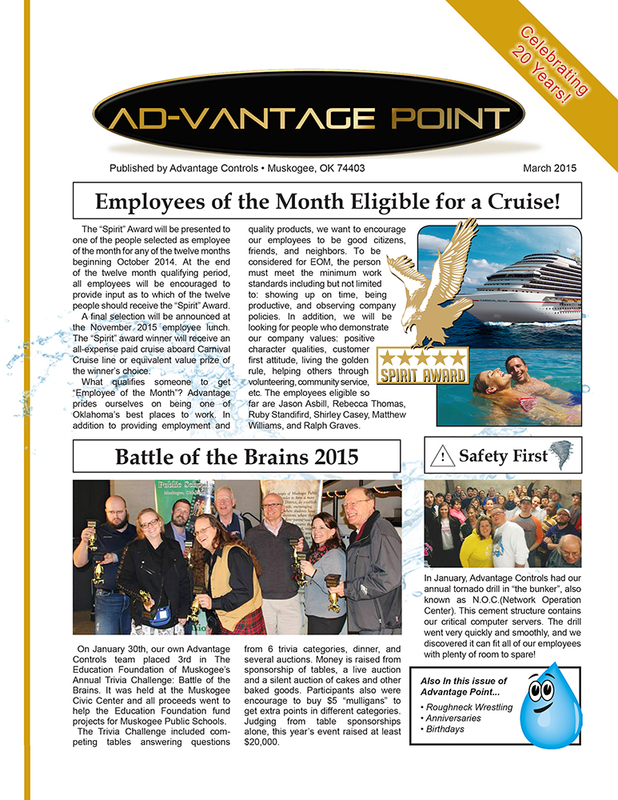 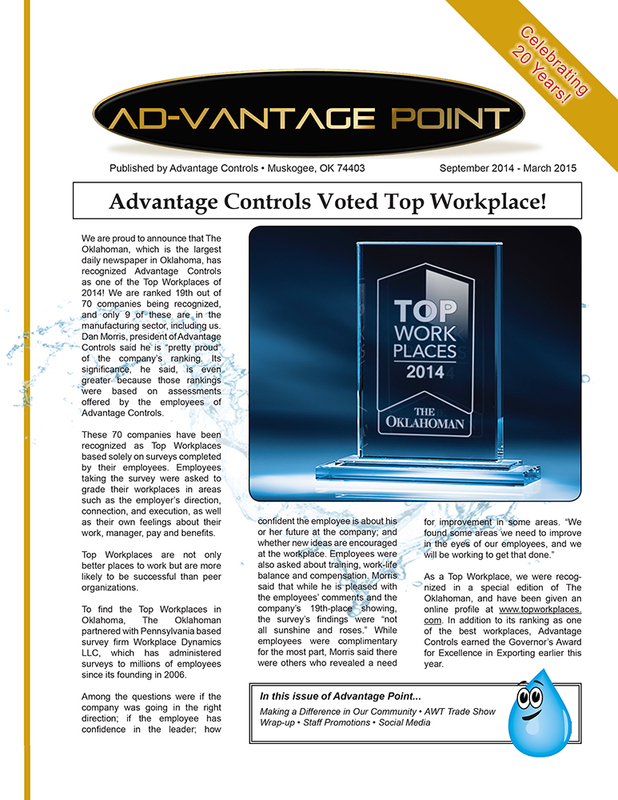 A behind the scenes look at Advantage Controls. 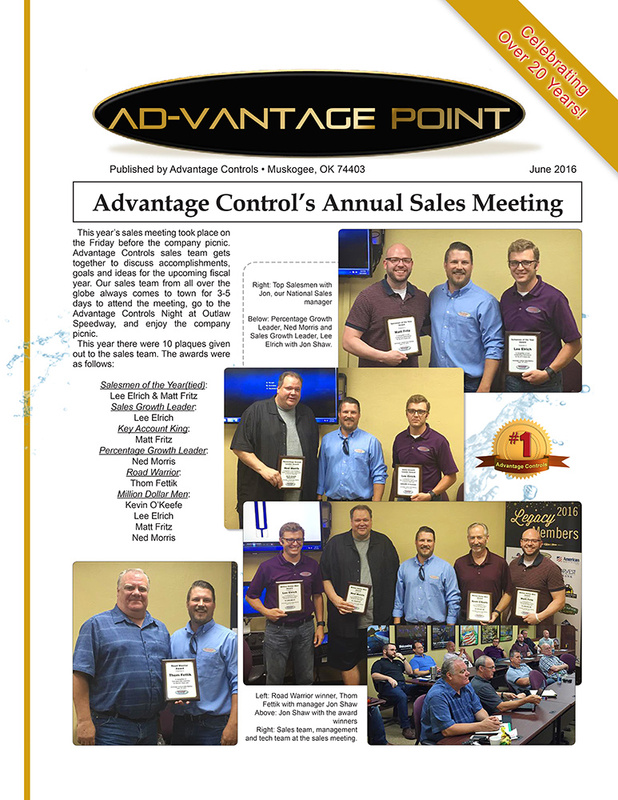 When you call Advantage Controls, you connect with people that care. 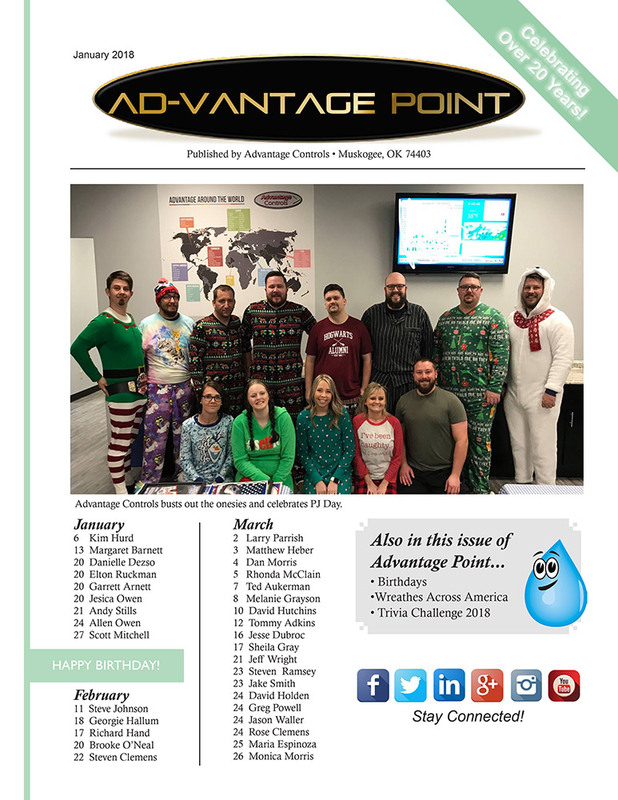 Our leadership likes to recognize the generosity and selflessness of Advantages' employees as well as the hard work put in to delivering quality products. 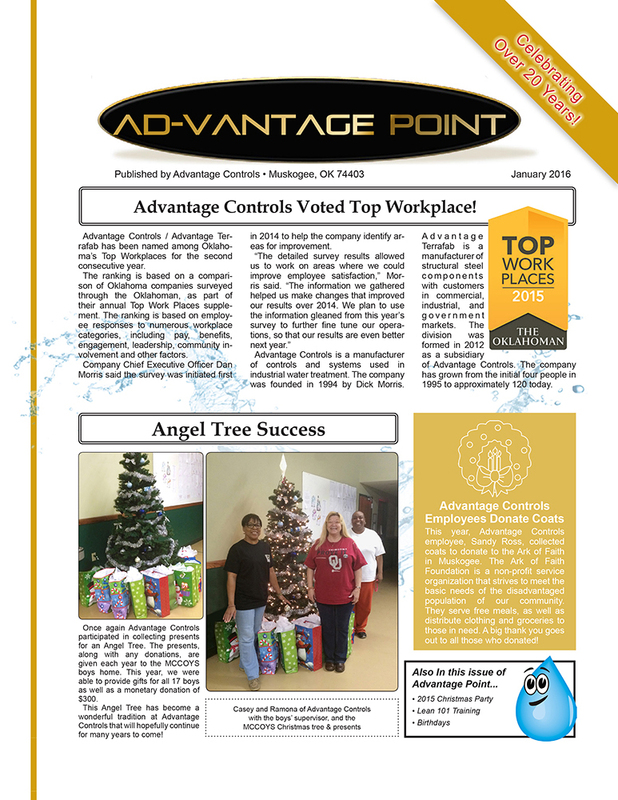 We are involved in multiple charities as well as volunteering. 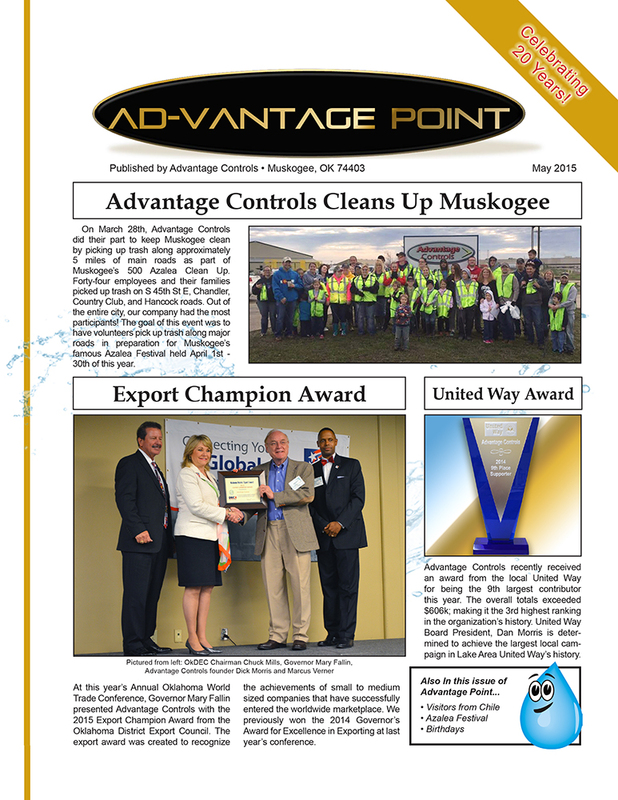 We hope to bring a greater awareness to the organizations and community efforts in which we volunteer. 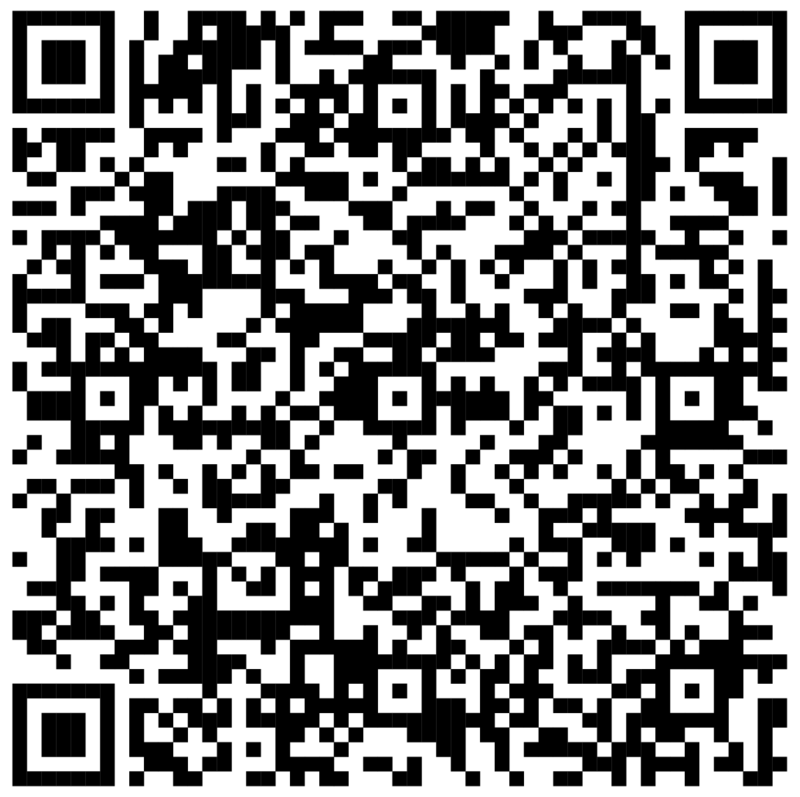 And just maybe... our stories will inspire someone else to volunteer. 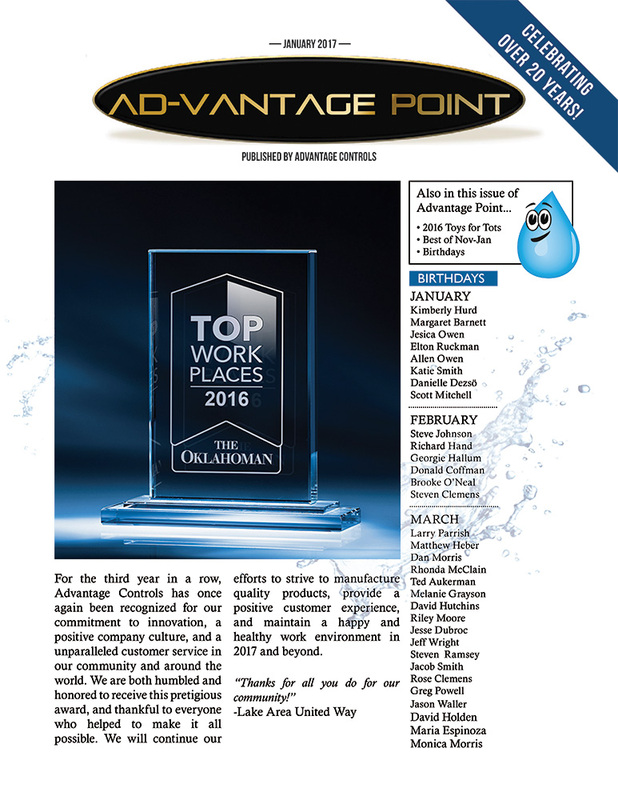 If you would like to share your first-hand experience of our efforts, please contact us at (918) 686-6211.